As part of the long lasting cooperation with Syracuse University, NY, we are happy to welcome 4 American students as interns from May 22nd until June 30th 2017. They will do their internships in two different fields: mechanical engineering and electrochemical engineering. 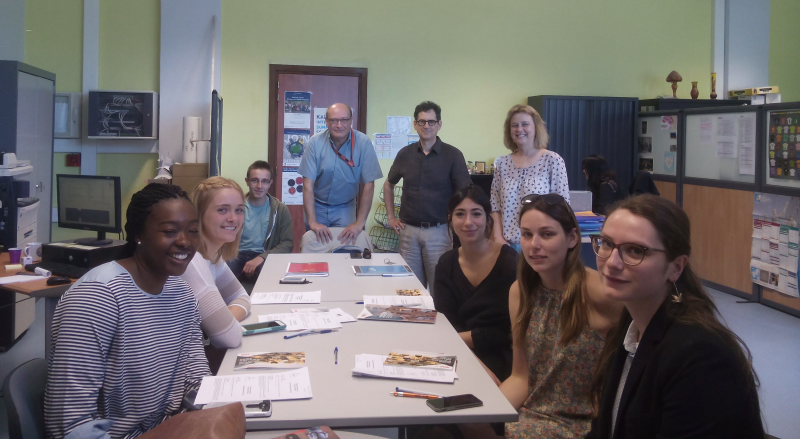 Around the table, from right to left: Santina Ebangwese, McKenna Walker, Quentin Muller, Phillipe Denier, Professor, Electrical & Energy Conversion Engineering INSA Strasbourg and responsible for cooperation between SU and INSA, Raymond Bach, director – SU Strasbourg center, Angelika Hamman, head of the International Office – INSA Strasbourg, Maira Gaballa, Brianna Page and Mathilde Strubel. McKenna Walker will work on “Design and manufacturing of chemical systems” in collaboration with Dr. Marc Vedrines. Maira Gaballa and Santati Ebangwese will work with Dr. Philippe Denier, respectively on the following themes: “Electrochemical deposition of calcium carbonate in plumbing network” and “Electrochemical deposition of HAP on Ti Alloys”. Brianna Page in collaboration with Dr. Amadou Coulibaly, will tackle the topic of “Modular and ergonomic design of agricultural tools of the INNOV-ART project”. The day of their arrival they had the opportunity to meet with Mathilde Strubel, 4th year student in civil engineering and Quentin Muller, 2nd year student in environmental and energy engineering at INSA Strasbourg; both are future outgoing students at Syracuse University. We wish McKenna, Maira, Santati and Brianna a pleasant stay at INSA Strasbourg. 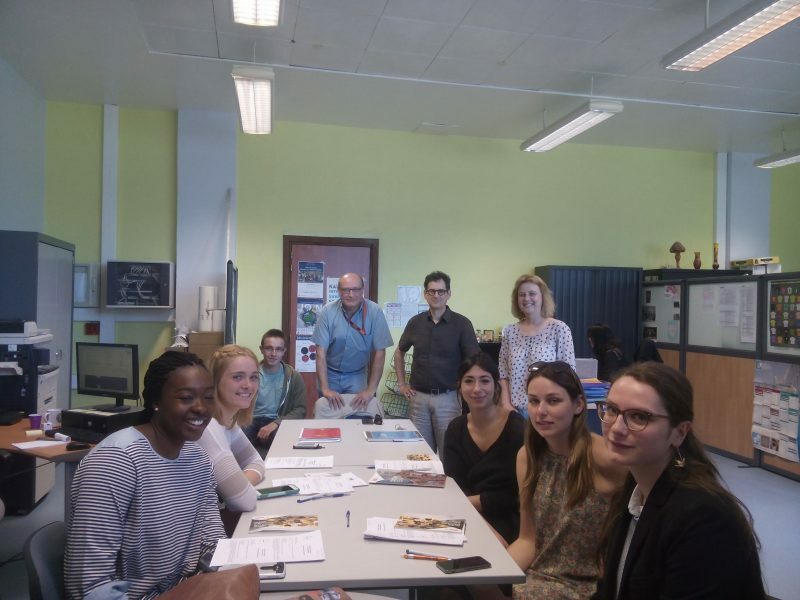 Partager la publication "Welcome to Brianna, Maira, McKenna and Santita, interns from Syracuse University at INSA Strasbourg"